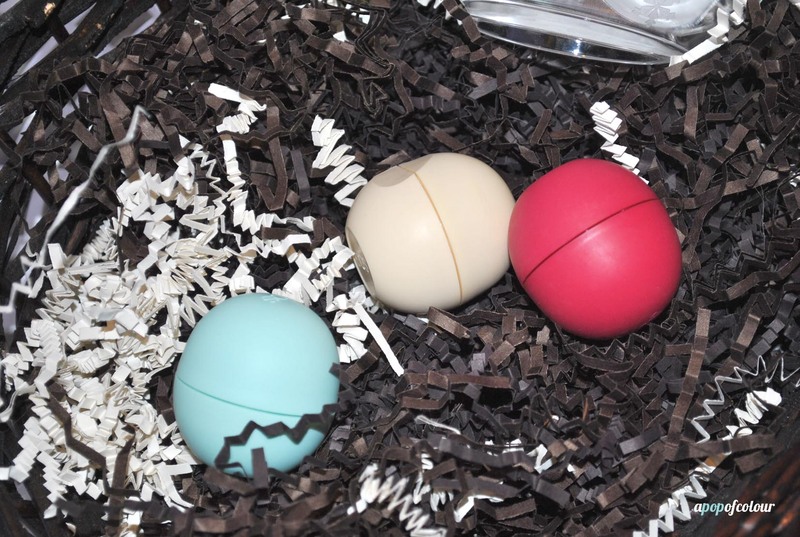 I know, I know, it’s not even Halloween yet, but I was so excited to receive the holiday eos Smooth Sphere Lip Balm three pack in the mail, that I just had to blog about it. I’ve blogged about these cute little ergonomic lip balms before and they still remain one of my favourite ways to cure dry lips. They aren’t the best lip balms I have ever tried, but the packaging more than makes up for the performance (they are good, but I’ve tried better ones by different brands). 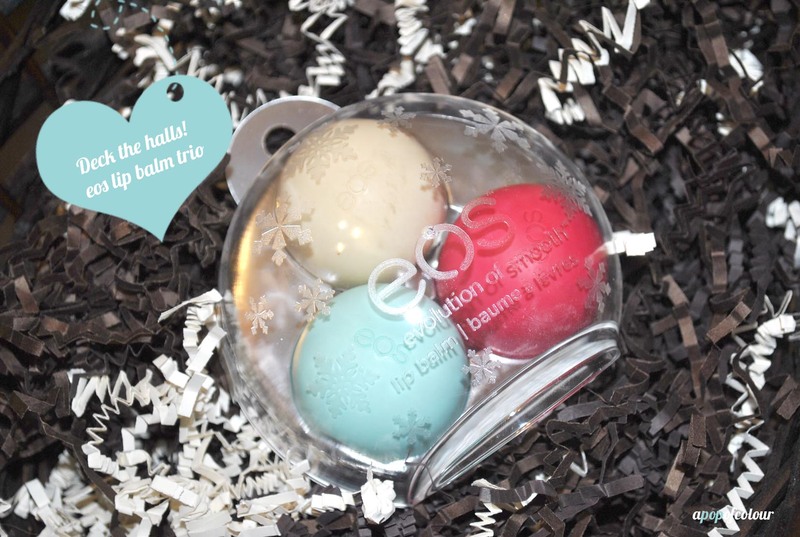 Special for this holiday season, eos (stands for Evolution of Smooth) has released a Christmas tree ornament that includes three different flavours of these cute Yoshi eggs. The set includes Sweet Mint (the blue one – bonus, leaves your breath minty too), Pomegranate Raspberry (red), and the one I am most excited for, Vanilla Bean (white). 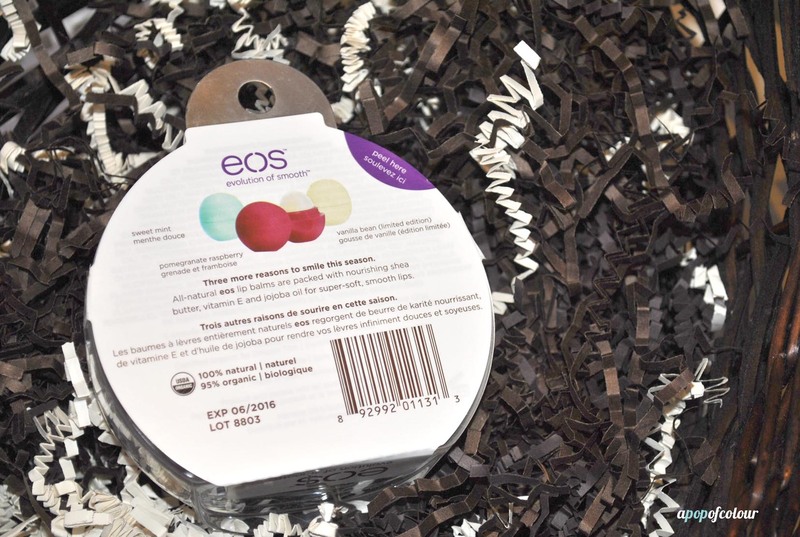 Each eos Smooth Sphere is packed with shea butter, vitamin E, and jojoba oil. This set retails for C$11.99 and is the perfect price point for a stocking stuffer, Secret Santa gift, or Hanukkah present. Make sure you check out your local drugstore or supermarket to see if they have this set. 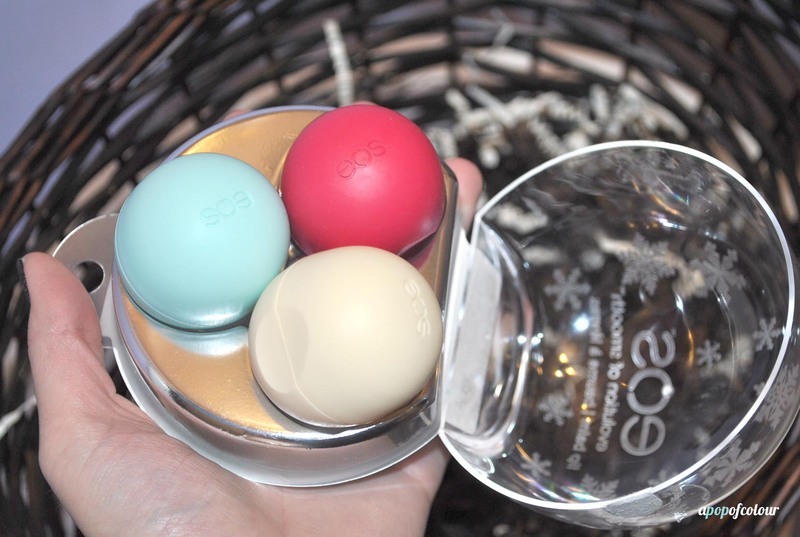 Are you gonna pick up the holiday eos Smooth Sphere lip balm set?